The Republican committee chairman had some things he wanted done. The Democratic ranking member of that committee had some different, but not incompatible, things that he wanted done. So they talked it out, struck a deal, got a couple of bills through their committee and at least made it possible for something to get accomplished. Utah’s Rep. 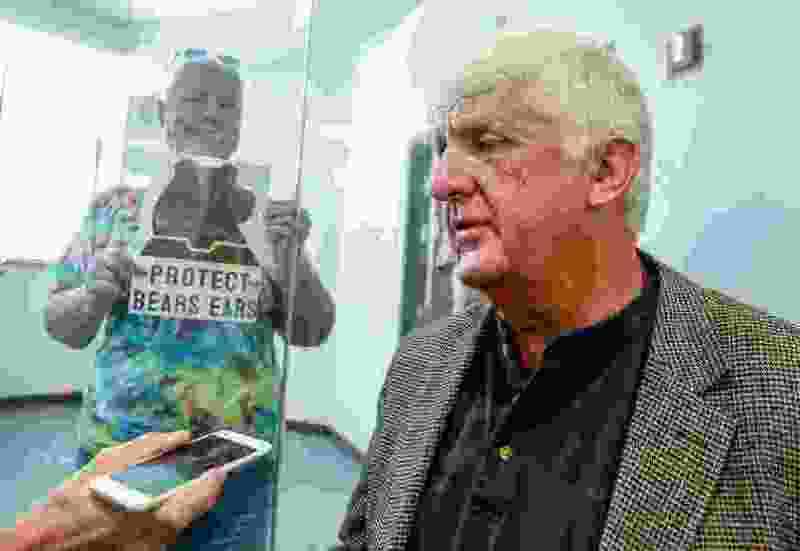 Rob Bishop had been criticized for being just another congressional obstructionist when it looked as though the reauthorization of a crucial program that buys, protects and maintains public lands might not happen. Bishop’s point was that putting the brakes on what had been a more or less automatic renewal was justified as part of his effort to get that program to do less buying and more maintaining. Blocking renewal of the program was overkill. But Bishop’s concern that, as a nation, we’re not keeping up with the maintenance needs we already have is not without merit. Three years ago, that gridlock meant a temporary halt to the 50-year-old Land and Water Conservation Fund. The program, which takes some of the fees paid to the federal government for offshore drilling rights and pays for everything from wildlife refuges to neighborhood baseball diamonds, was restarted anyway, over Bishop’s objections. It looked like it was all about to happen again, as the program was due to expire at the end of this month with no resolution in sight. But Thursday, Bishop and Rep. Raul Grijalva of Arizona — the top Democrat on his Natural Resources Committee — announced that they had done a deal. Not only would the Land and Conservation Fund be renewed in perpetuity, meaning no more brinksmanship battles over a needed program, but the rules would be reasonably tweaked to make sure than more of the money goes, as Bishop had been urging all along, to taking care of the land the feds already own. That is also the point of the other bill Grijalva and Bishop hammered out, the Restore Our Parks Act. That measure, if Congress approves, would capture funds the government gets from energy development on federal land and put them toward dealing with at least some of the billions of dollars in what the real estate agents call deferred maintenance that mar our national parks. Just the parks in Utah, we are told, are $266 million behind in maintenance of roads, bridges, trails and sewer systems. All by itself, Zion National Park is in need of $65 million in upgrades. Bishop and the environmental community still have their differences over such things a national monuments, endangered species and some other important things. But they agree on the importance of the national parks. And, when different sides of a political debate agree on something — anything — it is only sensible that they set aside their many disagreements and get something done. That’s what happened here. It should happen a lot more.